If you’ve already started designing your real-time streaming applications, you may be ready to test against a real Apache Kafka® cluster. To make it easy to get started with your own dev environment, this blog post demonstrates how to use the command line tool called Confluent CLI to launch Confluent Platform and to produce and consume simple data from Kafka topics. Then, this blog post will show you convenient ways of producing test data to Kafka topics. Generating your own data helps to more rigorously exercise your client applications, build demos, troubleshoot issues or just help you learn more about how Kafka works. First, let’s walk through how to spin up the services in the Confluent Platform, and produce to and consume from a Kafka topic. Download the Confluent Platform onto your local machine. It comes with Confluent CLI, a convenient tool to launch a dev environment with all the services running locally. This lets you, as a developer, not have to worry about how to operate the services. Disclaimer: The Confluent CLI is for local development—do not use this in production. This your Hello world! for producing and consuming basic Kafka messages. Congratulations! Now you want to dive into more involved scenarios, test your client application, use more realistic datasets, and perhaps do a compelling Kafka demo for your teammates. However, the produce/consume commands we used above are limited in what they can do. They do not work well for producing records with complex data types, e.g., records with multiple fields, randomizing the data, or give you much control over customizing the data. Basically, the data it produces is just not very realistic and is quite boring. Short of using real data from a real source, you do have a few options on how to generate more interesting test data for your topics. One option is to write your own client. Kafka has many programming language options—you choose: Java, Python, Go, .NET, Erlang, Rust—the list goes on. You can write your own Kafka client applications that produce any kind of records to a Kafka topic, and then you’re set. But wouldn’t it be great if you could generate data locally to just fill topics with messages? Fortunately, you’re in luck! Because we have those data generators. 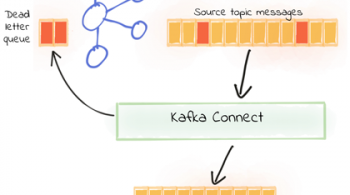 If you want to test an end-to-end pipeline, you may want to incorporate Kafka Connect, which connects Kafka with external systems such as databases, key-value stores, search indexes and file systems. Source connectors read data from external systems and produce to Kafka using the resilient, fault-tolerant Kafka Connect APIs. You can use predefined datasets with complex records and multiple fields, or define your own schema with your own fields. You can customize the interval at which data is produced, configure the value format to be one of Avro, JSON or String, etc. To install the Kafka datagen plugin from Confluent Hub, use the command below to get the connector JAR files onto the right path in your machine. Work through a few prompts. 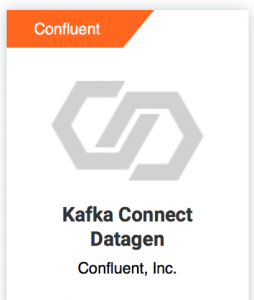 Check that the Kafka datagen connector plugin is available with confluent list plugins. It will immediately start producing records to topic2. Consume messages from that topic to see the data. There are a few quickstart schema specifications bundled with the connector. In the example above, the connector loads one of those quickstarts called users. This quickstart generates messages with four fields called: registertime, userid, regionid and gender, which you saw when you consumed messages from the resulting topic. Those fields were randomly populated based on the users schema specification. Each of the fields in the schema defines properties that describe the allowed values. For example, the schema specification for the field regionid describes it as a string having the format Region_[1-9], so the generated values for this field in each of the records will vary in the last digit. The connector has several quickstart schemas, including three for clickstreams (e.g., clickstream, clickstream_users and clickstream_codes), pageviews (e.g., pageviews, users) and ratings. If your goal is just to generate more complex data and you don’t care about the actual fields or their values, then any of the bundled schema specifications will work and are really easy to use. However, you can also define your own schema specifications if you want to customize the fields and their values to be more domain specific or to match what your application is expecting. Under the hood, this datagen connector uses Avro Random Generator, so the only constraint in writing your own schema specification is that it is compatible with Avro Random Generator. For reference in customizing your own schema specification, look at the Avro Random Generator documentation and any of the connector’s bundled schema specifications. Additionally, you can configure the interval at which records are produced (i.e., max.interval) and the number records sent (i.e., iterations) . And as with any Kafka connector, you may customize any of the general Kafka Connect configuration settings. 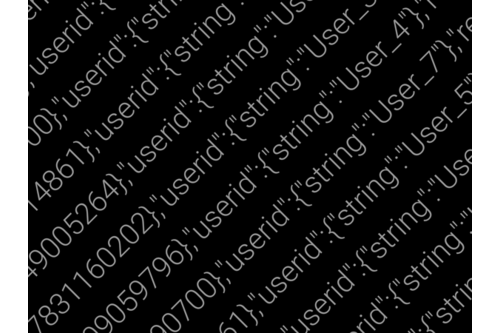 Notice that the data generator produced JSON records in the earlier example, because the configuration file had a configuration parameter value.converter that was set to use JSON. It could have just as easily produced Avro records by changing that configuration parameter as shown below (see all Kafka connector configuration parameters). You can consume messages from that topic. Notice the addition of a new argument --value-format avro, which by default looks up the Avro schema from the locally running Confluent Schema Registry. Now that you know how to generate your own data to Kafka topics, what can you do with it? The answer is: whatever you want! You can use this data for getting started with Kafka, testing your client applications, building demos or even troubleshooting. To see more of the Confluent Platform in action, we recommend you get going with the Confluent Platform quick start. 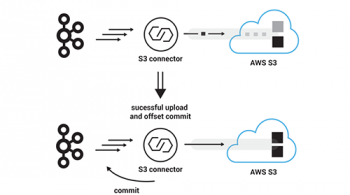 From there, you can build more interesting real-time streaming applications with the Kafka Streams API or KSQL, and build more interesting data pipelines with other connectors from the Confluent Hub!